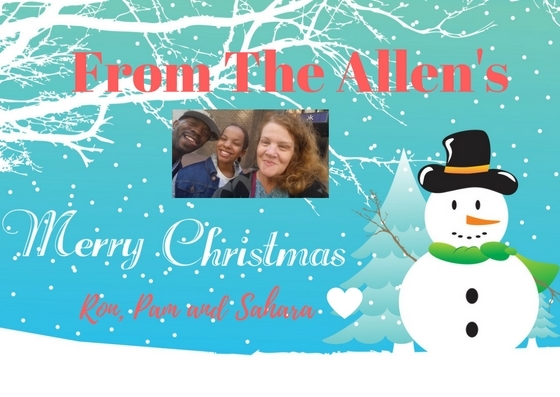 OUR CHRISTMAS CARD MADE BY ME! Do you like to get CREATIVE or maybe you have a hard time getting creative during the holidays? I know I sometimes do. This year I want to make my cards and printables to decorate the house with but how in the heck do I do that! I have the opportunity to work with GraphicStock which is an affordable, subscription-based stock media site that gives you unlimited access to stock graphics, vectors, infographics and much more. I now have a place I can go to get pictures for my projects I want to do for the Holiday. GraphicStock gives their members royalty-free access to their library of 250,000 graphics, images, vectors, and icons. Everything you download from the site is 100% royalty-free and you and maintain usage rights forever. Super easy to use too, just sign-up and search for the graphics you are looking for then download. If you are lacking the creative flow, then you can download images that are pre-made and work with images all ready to print out. My daughter wanted to color a Christmas tree so we found a cool one and I added some words and BAM she had a Coloring Page. Super simple to do too! GraphicStock is a MUST! You need to try it out and let me tell you it is so worth the price. As a blogger, we are always trying to find the right picture for our blog story and GraphicStock is the answer. No more scrolling for FREE pictures that aren’t exactly what we want but it is what we can find. Don’t believe me sign up for the 7-day free trial that will give you access to all of the images on GraphicStock. From there you can create your holiday printables and digital projects to share with your audiences as well! With the 7 day trial there is no commitment, BUT if you don’t want to use it past the free trial, please cancel your subscription. For our READERS I made a Snowman Printable that you are more than welcome to print out and use! Click on the picture, and it will take you to PRINT. I haven’t heard of GraphicStock before but it looks like a really great site for images. I’m always looking for vectors and images for my blog, so have to check out their 7-day free trial! This is too cute! I love using graphics makers like this and so this would be perfect. I am loving these printable! It’s always nice to be able to just DIY your cards or decors. And these sites will definitely help you with that! I really like the coloring page you made for your daughter. This seems like a really great program… definitely something I’m willing to check out! I’ve heard a lot of good feedback about Graphic Stock and it makes me intrigued! These printables are really cute and unique! It would be appreciated by givin this to others. Such a great idea for the holidays! I love sending out personalized cards this time of year. Oh wow thank you for the information on GraphicStock! I will have to sign up for this and start the new year right! I like the card. It’s nice. And that snowman printable is cute too. Looks like so much fun and great way to be creative this holiday season. I love seeing everyone’s unique and personalized cards this time of year. I have never used Graphicstock before, but I can see they have some great resource for bloggers that could come so handy for me anytime. I would love to give a try for that 7 day trial to see how it works out for me! That’s awesome. I know basic editing but there’s nothing like graphic stock to make things easier for us! I am loving these images! These printables sound like they would have been fun to create custom hand made Christmas cards. Thanks for sharing!